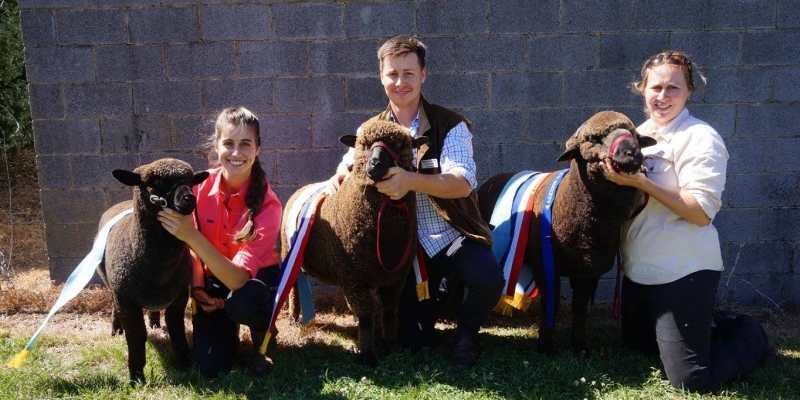 SHOW TEAM: Beylor Black Sheep Stud have had one of their most successful show years to date. Pictured, from left, are the Korumburra winning show team with Bridget Leahy and Grand Champion Lamb Lenni Red 111, Ryan Bechaz with Grand Champion Ewe Millie Red 077 and Steph Bechaz with Grand Champion Ream Myles Red 099. A DESIRE for equal standing is what turned Steph Bechaz into a sheep breeder. She is no rights activist; rather, Steph has a keen eye for well-structured animals. If they come in pretty colours, so much the better. Steph is one half of the Beylor Black and Coloured Sheep stud team. Run with her brother Ryan, the duo have turned their hobby into a well-regarded enterprise known for its physically correct animals and coloured fleeces. “We started off a few years ago now; we were introduced to Corriedales through an ag program at Elizabeth Murdoch College in Langwarrin, where we were both students,” Steph said. Since then, the pair has grown their breeding herd to 50 ewes, keeping numbers small to retain a tight hold on quality. “We have chosen to focus on the quality of the animals, rather than the quantity,” Steph said. Corriedale sheep are a dual purpose breed and is one of the oldest of all the crossbreeds, a Merino-Lincoln cross developed almost simultaneously in Australia and New Zealand in the early 1900s. Along with having a high skin value, the Corriedale produces bulky, high-yielding wool ranging from 31.5 to 24.5 micron fibre. The fleece from mature ewes weighs from 4-8 kilograms, with a staple length of up to 15 centimetres. Corriedale sheep are medium to large-framed, with lambs bred for meat typically reaching market weight of 60kg at seven months. Although not as common as traditional whites, coloured Corriedales appeal to a niche market of hand spinners and fibre enthusiasts, as their wool provides natural colour that is bold, evenly crimped and naturally elastic. “We refer to them as the sheep for enthusiasts,” Steph said. Selling to other studs is becoming increasingly easy, with Beylor Black’s resident ram – 16115 “Ripley” – taking out the Supreme Coloured Champion at the Korumburra, Berwick, Pakenham and Red Hill shows this year. At the 2018 Australian Sheep and Wool Show, Beylor took home the Grand Champion Ewe, Reserve Grand Champion Lamb, Grand Champion Fleece, Reserve Grand Champion Fleece, and Best Fleece for Handcraft and the prestigious Most Successful Exhibitor award. “We’ve had a really good run lately, which is great,” Steph said. 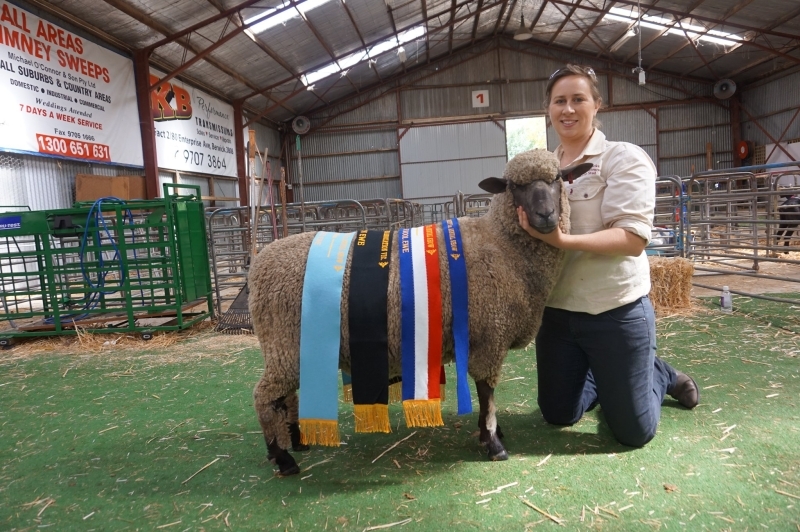 WINNER: Steph Bechaz and winning ewe, Harlee, at the 2018 Bendigo Sheep and Wool Show. 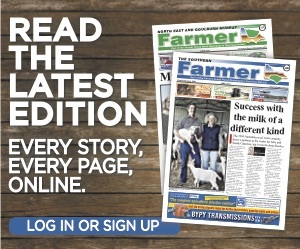 With the maturing of the flock, the use of home-bred rams 15098 “Kip” and 16115 “Ripley” – who have genetics dating back to the first rams and ewes of the flock – is already paying off, with the 2018 lambs the best yet. “We are really pleased – the joining rate was more than 100 per cent, and the colour and structure we have seen so far is second to none,” Steph said. What Steph is really passionate about is levelling the playing field between coloured Corriedales, and their plainer counterparts. “In the past, breeders were just going for colour and it was to the detriment of the structure,” she said. The biggest event for wool enthusiasts in Victoria is the annual Black and Coloured Sheep and Woolcraft Field Day, held in Pakenham on the last weekend in September. The day features a fleece market, stalls of craft supplies, demonstrations and a parade of handmade garments. 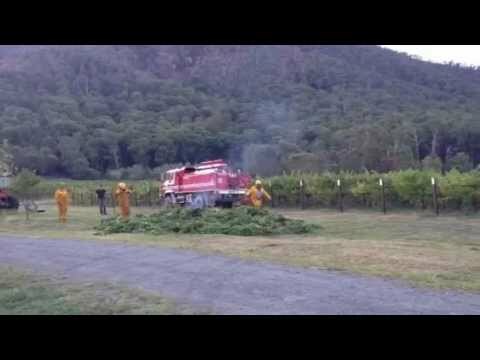 It is also the primary selling tool for Beylor Black’s fleeces. Last year, Steph and her brother took 90 bundles – which all sold for around $30/kilo. “It’s a great day out, and where most of our customers first find us,” Steph said. Although she is as passionate today as when Beylor Black was first started, Steph has no plans to launch it into a commercial enterprise. “Because we don’t run it full time, we can have a stronger say in what we are trying to achieve as we aren’t bound by the markets and trying to make money each week,” she said.